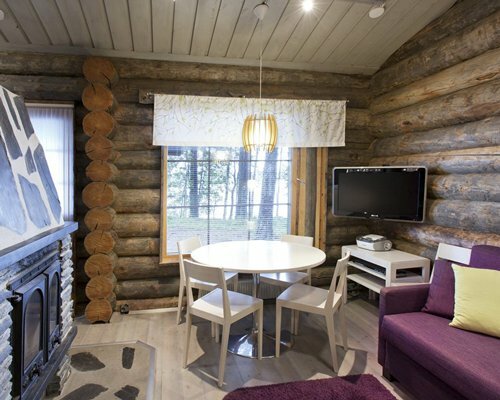 Set in the beautiful Finnish countryside and on the shore of Lake Kankarijärvi, Holiday Club Pyhaniemi offers visitors an idyllic getaway with plenty of outdoor activities you can enjoy in this beautiful region. Swim, fish, water ski, or sunbathe on the sandy shores of the lake in the warmer months. 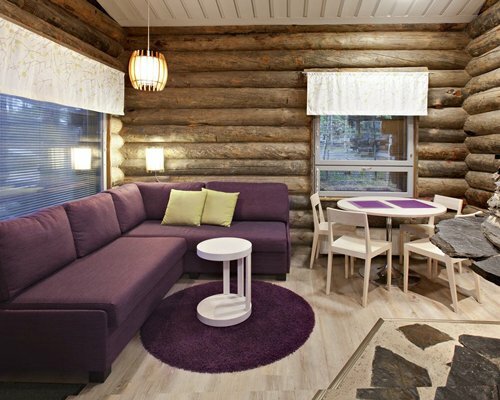 The resort also offers tennis, mini golf, cycling and hiking in summer, and cross-country skiing in winter. There is a children's playground, a snack bar, and laundry facilities on-site. BY AIR: Nearest Airport: Tampere 100 km. 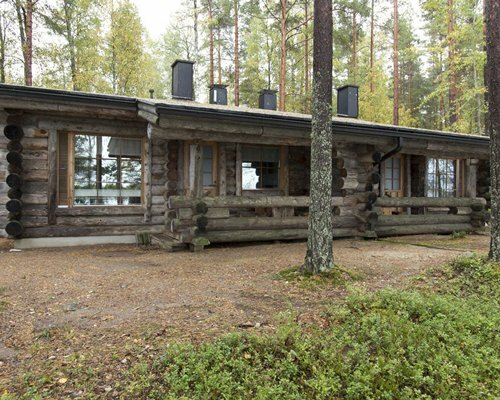 BY ROAD: From the airport drive to the motorway 45, passing Tampere and then drive towards Ylöjärvi. Continue along road E12 towards Ikaalinen and Parkano. 10 km after Parkano turn right towards Kihniö/Virrat. 10 km along this road there will be signs to the resort. HELSINKI AIRPORT : 280 Km. BY ROAD : From the airport follow the exit signs and drive to Keha III Lanteen. Take the exit for the motorway E12 towards Hameenlinna and Tampere. Continue to Tampere and follow for the E12 towards Vaasa, Ikaalinen and Parkano, then continue as above.